I’ve so enjoyed the poetry activities this National Poetry Month that I’m sorry to see it end. (April, are you ready for a break?) 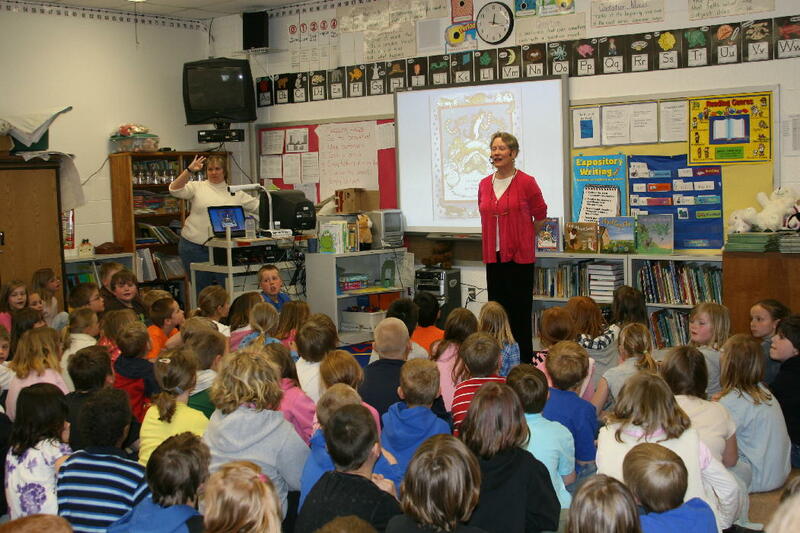 I spoke about poetry this month to elementary school students from prekindergarten to sixth grade and worked with young poets in Merrill, Marshall, and Winneconne, Wisconsin—and I loved every minute of every visit! Hello and thanks to all the helpful teachers, librarians, and PTO organizers! Today is Arbor Day (read about it here), so I’m including a shape poem I wrote about trees and my own writer’s dilemma. 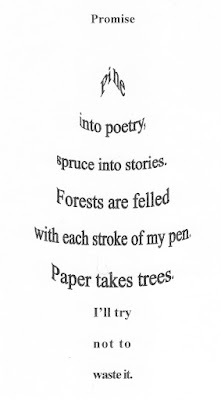 To celebrate Arbor Day and National Poetry Month, read some tree poems! Kristine O’Connell George’s Old Elm Speaks: Tree Poems is one of my all-time favorite collections. 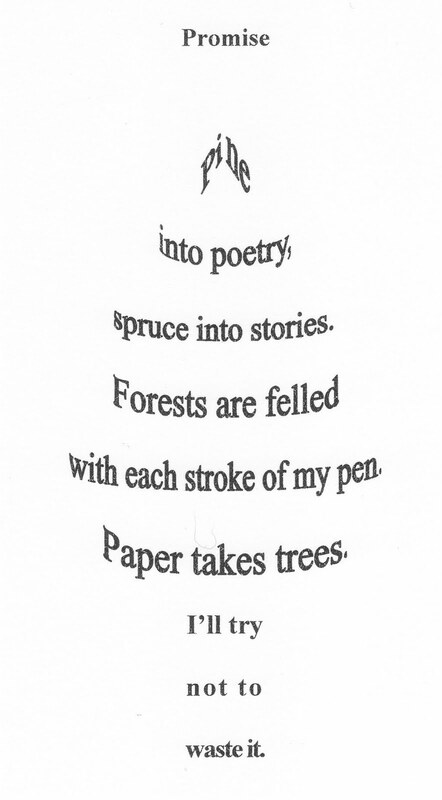 Poetrees is a new collection by Douglas Florian. A shape poem is also called a concrete poem or a spatial poem. You can find them in collections such as Doodle Dandies: Poems that Take Shape by J. Patrick Lewis, Splish Splash and Flicker Flash: Poems by Joan Bransfield Graham, and A Poke in the I: A Collection of Concrete Poems, edited by Paul B. Janeczko. 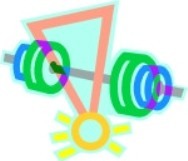 To write a shape poem, choose a concrete object so you have a shape to work with. Write the poem first. Then fit it into its form. I used the WordArt feature in Microsoft® Office Word to create the poem above. Have fun! Don't forget to join us in our first anniversary celebration and enter to win a critique of your work! Your first entry must say how you follow us—via Google, Networked blogs, or e-mail. You must post a separate comment for a second entry—this makes tracking entries much easier. Entry deadline is 11 p.m. (CST) Tuesday, May 4, 2010.Good luck! How swell to introduce another Guest Teaching Author to our TeachingAuthors readers: Birmingham, Alabama poet and debut novelist Irene Latham. Leaving Gee’s Bend is just such a tale. Come meet Irene in the Q & A interview she recently granted me. It started with parenthood: I am the proud mom of three sons, now ages10, 13, and 15. As soon as my second son hit Kindergarten, I knew public school was not the best fit for him… so I brought him home. Home-schooling him has been one of the greatest joys of my life. 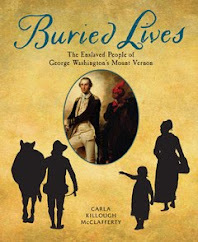 Currently, all three of my sons are in successful non-home-school situations, so I can get in the classroom with my poetry workshops and school visits related to Leaving Gee's Bend. Interestingly, one of the problems I’ve encountered in my poetry workshops is writer’s block, which seems to be more a “brain freeze” related to performance anxiety. I’ve always found coming up with ideas to be the easy part. So for me to discover this is often the hard part for students…. Well, I’ve learned to be very specific in my prompts. That seems to help. Also, reminding them that the only absolute in poetry is that there is no absolute. Oh my goodness, I could go on for days! Here’s one I was just reminded of in a workshop with author Kerry Madden. It’s deceptively simple, but guaranteed for good results: Think of your favorite secret hiding place. What do you see? What do you hear? What do you smell? What do you taste? What do you feel against your skin? Remember: writing involves trust. For kids to open up on paper, they need to feel safe. Which means, don’t worry so much about form as substance. Praise kids for their effort, their creative thought… overlook poor grammar and punctuation errors. As soon as you start focusing on the nitpicky stuff, they will disengage emotionally. And the whole point is for them to dig deep, to discover something about themselves and their world as they put words on the page. 5. Can you share the Moment you knew you were a writer? For many years writing was my secret life. Even my husband of twenty years says he didn’t know he married a writer. That’s because I didn’t pursue writing as a career in college, and I was very furtive about my writing efforts. Yet I was always writing. In fact, when that moment came ( sometime when I was pregnant with my third child), and I looked around and thought, wow, this motherhood gig is great, but I really need something just for myself, the answer was all around me: in stacks of paper on my desk, in drawers overflowing with notebooks and journals and folded slips of paper. I was a writer. And the time had come for me to take it to the next level – to be brave enough to show my work to other people and begin to pursue publication. I offer Irene my sincere thanks for sharing her story with our TeachingAuthors readers. 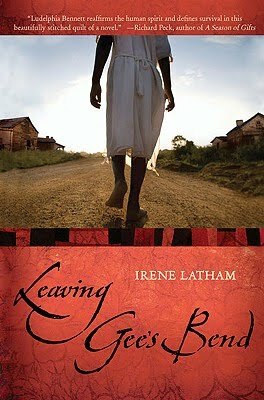 Win an autographed copy of Irene's Leaving Gee’s Bend! 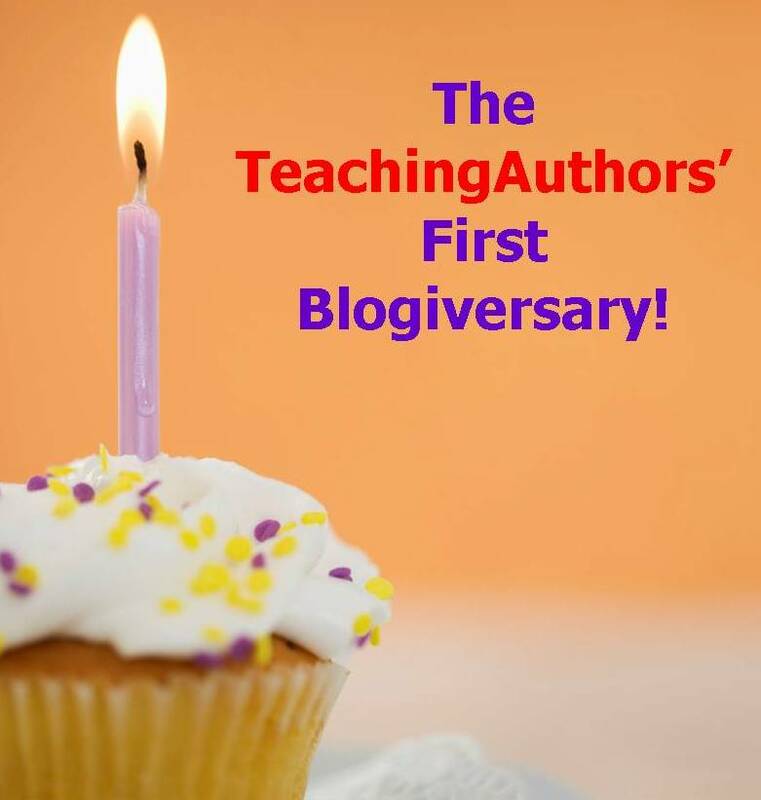 There’s still time to help TeachingAuthors celebrate their very first Blogiversary – and -win a critique of your work! And please note: Your first entry must say how you follow us—via Google, Networked blogs, or email. You must post a SEPARATE comment to get a second entry. This makes tracking entries much easier. Entry deadline is 11 pm (CST) Tuesday, May 4, 2010. April may be the cruelest month, but I don't care. I'm too busy celebrating the last year of my thirties, my son's third, my daughter's fifth, and yes, a Blogiversary and our April's birthday, too. Have you noticed that "Happy Birthday" is rarely (if ever) sung on TV? As Mary Ann pointed out, there's that pesky matter of royalties, and apparently this song commands exorbitant ones. Next time you watch a soap opera (if you dare), note the quick cutaway to commercial when the cake is wheeled out or the opportune ringing of a phone or sudden heart attack that befalls the birthday girl. It's not about the drama, I'm sorry to say. It's about the stupid song. Just as often, it's about the Midol product placement or the actor who can't remember his lines or the set that has enough room for only two people when you need to throw a wedding! Most of my paid writing work has been writing for hire. Writing for hire can be an awful lot of fun. But apart from the challenges that are readily imagined (what if I hate the material? ), there are also those devil-in-the-details moments I never considered. When I was writing Nancy Drew, I had to be cognizant at all times of the rules of Nancyland (no guns or drugs despite the raging crime epidemic in River Heights). There was a preordained number of chapters and pages, as well. An hour-long daytime program is only 39 minutes minus the commercials. Writing to a set structure (see the five-paragraph essay) makes life a lot easier in many ways. In other ways, it is horribly constraining. My English Composition students write five essays per semester, and often they have trouble getting excited about the material, to put it mildly. This is writing-for-hire in its barest form, after all -- pass the class, and you get to graduate and, one hopes, find the job of your dreams. Fail to get the job done, and well... take English 101 again. For my students, God is in the details. Once they can recount an experience vividly, without resorting to cliches and empty expressions, they have connected with the material in a way that makes the writing fun (and the reading, too). And if they have done it once, they can do it again. So even if their writing is full of run-ons and agreement errors and I despair of having taught them anything, I have. I think. I hope! 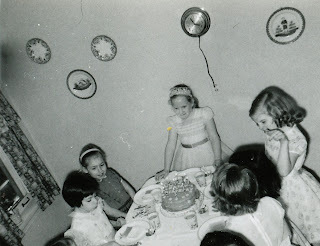 Don't forget to enter to win a critique of your work, in honor of our blog’s first birthday! My students had a highly disrupted semester this spring (I use the term figuratively) thanks to copious snow, which is paralyzing to Marylanders in the baffling way that rain is to southern Californians. I usually do this exercise earlier in the semester, but it's waited until the last day (today!) because we've been too busy cramming exercises in grammar and MLA formatting. Our text has a whole chapter devoted to the Process Analysis essay. This format provides a wonderful exercise for students who will be moving on to technical writing classes or to any type of business career. It is also a great exercise in developing clarity on the sentence level and accurate detail globally. The other great part about the exercise is that students have to decide where to begin and where to end. It's a story in microcosm. And at the end, you have an edible sandwich -- food being a great motivator, even at 8:30 a.m. and even when you use green pepper jelly, I've discovered. Happy Poetry Friday! There's a poem for you at the end and a Writing Workout for you, too. But before we begin, I want you to know that I'm still in the thick of the Poem-A-Day Challenge for Poetry Month. In fact, it's TAKEN OVER MY ENTIRE LIFE!...please don't click on this next link yet...today's poem is the same one I'm discussing in this post. You've gotta read the story behind the poem first. It's the law. And one more thing before we begin: Tricia has just posted an interview with me at her marvelous The Miss Rumphius Effect. Come celebrate our blogiversary! Enter to win a critique of your work, in honor of our blog’s first birthday! Birthdays. Earth Day. Poetry Month. Poetry Friday. The world turns. What was cloudy becomes clear. The patterns in our lives rise to the surface. We lean towards structure. Forks, spoons and knives separated by dividers. Children in a choir arranged by height. Blouses at my local thrift store (yay, thrift stores!) arranged by color. My mother could always count on me to put her pencils, rubber bands and paper clips in order. All my marbles grouped themselves into marble villages. The treasured plastic dinosaurs my sister and I got from a junk shop (all for a dime) quickly found their families. And something beautiful happens in my brain when a word goes “click,” fitting into a poetic pattern. There’s an elegant website called Patterns in Poetry researched, written and created by Constance Curran, of Cranberry Designs. I hope one day she’ll add more types of poetry. So let’s play with patterns in poetry today, in honor of the patterns of our lives. I’ll take you on the behind-the-scenes tour on how I wrote today’s poem. I thought about the hands of five authors reaching out to me, all the way to the West Coast, and how for some reason I reached back. THANK GOODNESS! I wanted to catch that “thank goodness” feeling in a poem. What does it mean to have made this leap? To swing from tree to tree to you? friends who are smart and kind and true? I saw the beginning of a pattern:What’s the pattern? Can you see it, too? The last three lines rhyme. The first line doesn’t. But it needed more. So I decided to write a few four-line stanzas in which the first line of each stanza rhymes with the first line of the other stanzas, and in which the last three lines of each stanza rhyme with each other. Or, to conserve space, A,B,B,B. What would the next stanza be? I decided it would be A,C,C,C. And the next? A, D,D,D. Then I began scouring my rhyming dictionary for earthy words that had enough relevant rhymes to support this pattern. to fly from tree to tree to you? readers discerning, kind and true? to water a seed, now one year old? as it gives me back a thousand fold? joining five friends to Tweet, to sing! 1) Brainstorm a topic. You can search our posts for the word brainstorming. Here’s one: scroll down to the Writing Workout on Carmela’s post. 2) Find a rhyming dictionary in the library or work with one online, such as RhymeZone.http://www.rhymezone.com/ Begin listing words that might fit your friend or your family or dog or whatever memory or dream you’ve decided to write about. 4) If you can’t fit your ideas into that pattern, look for a poem you like, figure out its pattern and imitate it. Or create your own pattern. 5) Play! Remember to breathe! And write with joy. The first time I read the word "blogiversary" was on editor Cheryl Klein's blog. My first thought: "What a great word!" My second thought: "What a great cause for celebration!" Then I learned some bloggers spell it "blogoversary." But no matter how you spell it, it's a milestone we're looking forward to commemorating tomorrow. I've mentioned that we'll be offering a special giveaway in conjunction with the celebration. Meanwhile, I've been adding some new features to our site. You may have noticed a new link under our logo labeled "About Us." We've wanted to personalize our blog with photos of all the TeachingAuthors, but we didn't want to clutter up our already busy sidebar. Now you'll be able to see our smiling faces any time you like by clicking on the above link. 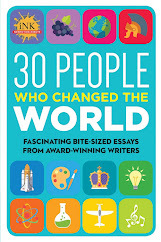 That page also contains brief biographies of each of the TeachingAuthors. Another thing I've been meaning to do for some time is acknowledge and thank all the wonderful readers who've nominated us for various blog awards. So I've also added a new page called "Blog Awards," with a link in our sidebar. I apologize for being so late in thanking our readers for these awards. All the TeachingAuthors are honored by your thoughtfulness, and we're pleased that you've found our blog helpful. Speaking of finding the blog helpful, as we close out our first year of blogging, we'd love to have some feedback from you, our readers. What are some of the features you like best? What would you like to see more of? Do you have any suggestions for topics you'd like us to address in the future? Please post your feedback as comments to this blog entry. If you're a picture book writer, it's time to gear up for National Picture Book Writing Week ("NaPiBoWriWee"), which takes place May 1-7 this year. This is a challenge where you attempt to write 7 picture books in 7 days! You can read all about it here on Paula Yoo's blog. Paula is also providing 30 days of inspiring posts to prepare for the challenge, so be sure to read her blog. Do writers really need to blog and tweet? 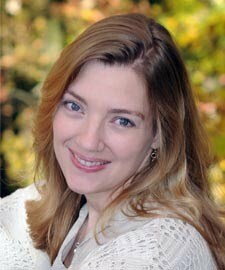 Agent Jennifer Laughran has some helpful advice on the subject in an interview at Market My Words. I had the pleasure of sharing a Tuesday Tip on the blog Literary Rambles this week. If you don't know Casey McCormick's blog, it's an amazing resource for writers, especially if you're looking for an agent who represents children's and young adult literature. That's all for now. More tomorrow, on our actual Blogiversary. What has this year meant to me? Well, without getting all "Miss American Farewell Speech," I can say that this year has been a blessing. Meeting new writers and teachers (and sometimes even in person!) gives me the one thing that all writers (teaching or otherwise) crave...the feeling that we are not all alone. We spend so much time in isolation with our chosen instrument of writing, living in our heads even in the presence of others, we forget that what we create in solitude is read by other people. Sometimes lots of them! I still have that solitary confinement feeling as I try to wrestle two novels into shape, but when I sit down to write my blog, I have this wonderful sense of being surrounded by all of you. I can see you...even without the old Romper Room Magic Mirror (extremely dated Boomer reference). I see you with your coffee cups, stacks of "urgent" paperwork from the Central Office, reading us as a guilty pleasure, all the while feeling as if you should be doing something important. I see you too, you stay-at-home parents who have wedged reading this blog between play dates or homeschooling lessons or magically concocting an item that your child remembers at 10 pm he needs by tomorrow morning. (Slight digression...the worst case scenario I've heard was a mom who sculpted a boars head out of SPAM. Don't ask me why.) That all of you teachers and writers have found the time to visit with us on line is a humbling sort of honor. Please don't stop. My secret guilty pleasure (which when you read this will no longer be a secret) is checking the blog stats a couple of times a week, to see where our readers are located. I know that you are from Alaska and Australia and Belgium. I know that there is a big bunch of faithful readers from the Midwest. It's a real mindblower for me, to know that someone on the other side of the world might read what we Teaching Authors have to say. In return, we are thrilled to hear from all of you, no matter where you live. We are all in this teaching-writing thing together. Writing and teaching are the hardest and most rewarding job you will ever have, whether you are in Topeka or Timbuktu. We look forward to many more Blogiversaries...as long as we keep hearing from you. OK, altogether everybody, a chorus of "It's a Small World After All." Wait no. Those pesky copyrights again. Well, just imagine I am dumping a cybershower of balloons on you right now, wherever you are. 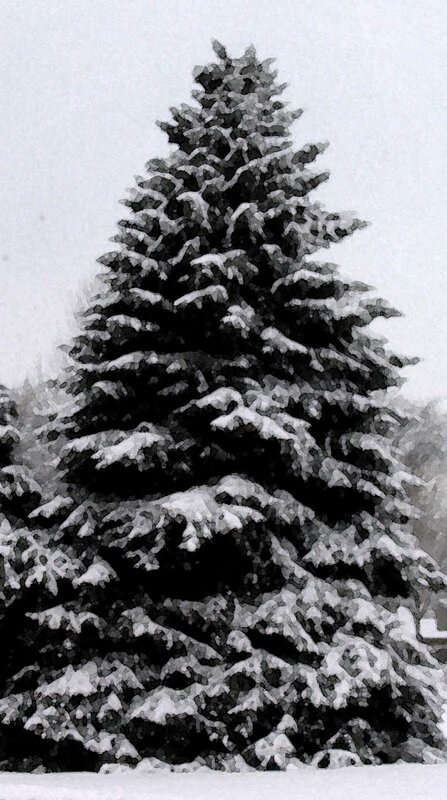 And in the words of the Great Maurice Sendak, "Let the wild rumpus begin!" This is cheating because I am not "Out and About" yet, but I will be very soon. 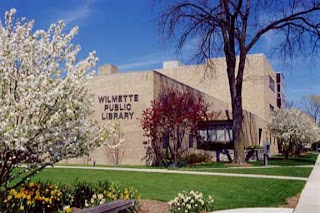 Yankee Girl has been chosen by the Winnetka-Northfield Public Library System for their "Two Villages, One Book" selection. So for all you folks in Chicagoland, I will be doing school visits and other assorted pleasures the week of May 3. For all the festive details, check the Winnetka-Northfield website. 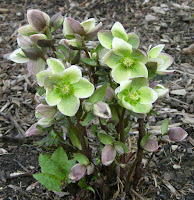 My husband and I walked through a nearby park along the Milwaukee River one beautiful spring morning in early April. 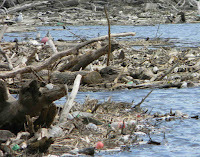 We were appalled by the amount of trash we saw on the banks and in the water. 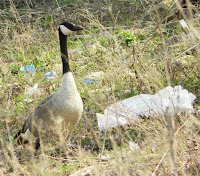 We picked up garbage as we walked, and I listed in my notebook some of the things we carried to nearby trash containers. As we walked, I began to hear the poem below forming in my mind. Every item included in the poem is something we picked up that morning. I went back a few days later with my camera to record the heartbreaking scene. a spray paint can, and one flip-flop. a bandage strip, a plastic comb. half a pound of plain cream cheese. Fish swim under plastic buckets. a trash container—this must stop! and we toss too much to bear. I believe that as teachers, we have not only the opportunity but the responsibility to impress upon our students the importance—and the urgency—of taking care of our environment—not only on Earth Day, but throughout the year. 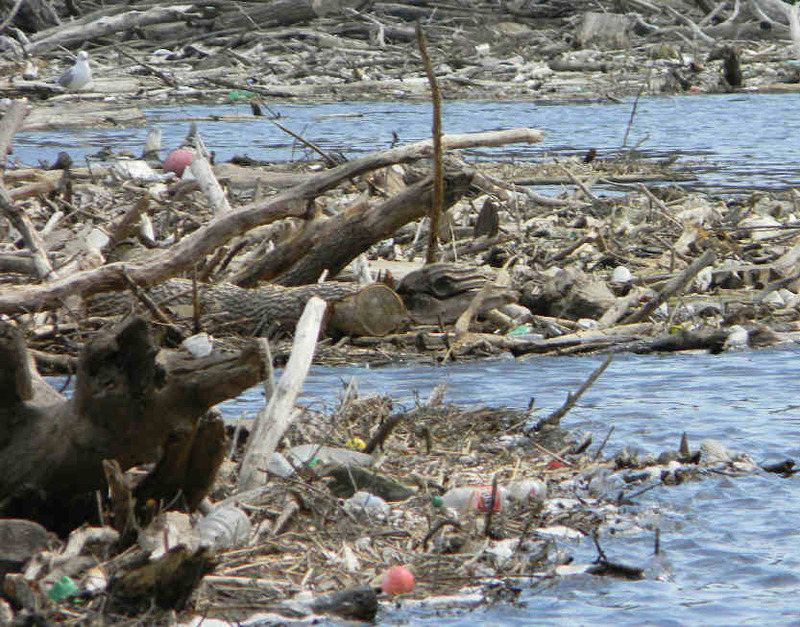 We can study the effects of pollution, we can participate in cleanup efforts, and we can write! The poem I wrote about the river is a list poem. Begin one of your own (or help your students write theirs) by thinking of a subject or a place you are passionate about. Observe it carefully or remember it and list its important details. Include more than just the list—tell the reader why the details are important. I used rhyme because I liked the singsong, careless feel it implied and I wanted to lighten the heavy message, but your poem doesn't have to rhyme. Speak your mind and make your message clear. On Saturday, April 17, I'll be at Books & Company in Oconomowoc, Wisconsin, at 3 p.m. for a reading and signing with Jacqueline Houtman (The Reinvention of Edison Thomas) and Kashmira Sheth (Boys without Names). I'll read Waiting Out the Storm and talk about writing, poetry, and maybe Earth Day. Stop by if you're in the neighborhood! With apologies to Julio Iglesias and Willie Nelson, this is the perfect week to serenade, if not all libraries I’ve loved before, certainly the Top Five. In all truth, I could not NOT love libraries. 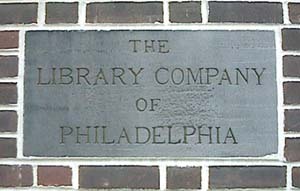 I grew up in Philadelphia, home of Benjamin Franklin, founder of our country’s first subscription library, The Book Company, in 1731. Franklin and fellow Junto members each invested 40 shillings or more each year to support the library and buy books. Annual Philadelphia grade school trips to Franklin’s Arch Street gravesite had me quoting proverbs from Poor Richard's Almanac to and fro. I graduated the University of Pennsylvania, the college Franklin founded in 1651. Maybe there was something in the water, either in the Delaware or the Schuylkill River? There was certainly something book-loving in my home, where I often played Library, lending out my Golden Books, childhood biographies of famous Americans and Honeybunch titles to friends and neighbors, date-stamping their book cards and charging fair fines. Here are my Top Five Brick-and-Mortar Library Loves in chronological order. I wouldn’t and couldn’t be a TeachingAuthor without them. The Penn Wynne Library was but a stone's throw away from my new suburban home. Thanks to my trusty library card, the first I'd ever owned, I spent my tenth year voraciously reading through the blue-spine-ed books on the "K" shelves of the library's Children's Room. I rode along with Nancy Drew and her River Heights companions, seated in the back of Nancy's spiffy blue roadster, supposedly following clues and feeling the breeze, yet unknowingly uncovering how to tell a story. Through adolescence, I sewed along with Jo and her sisters, I strode the moors, I walked the streets of Chicago with Sister Carrie. Writers are readers, and that's the Truth. How nice that my Penn Wynne Library gifted me with so many wonderful teachers. It's here I learned how to write for children, reading my way through and around the Children's Room of the Wilmette Public Library. The New Books shelf especially kept me current in the ever-changing world of children's book publishing. My library card also served as my Passport - to the Ozark Mountains, to 19th century America, to wherever my characters - and stories - lived. 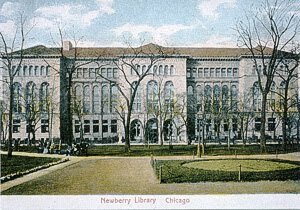 A non-subscription library, the oh, so beautiful Newberry Library houses a world-class collection of books, manuscripts, and maps, ranging from illuminated medieval manuscripts to rich genealogical resources, and from early printed books to the personal papers of Midwest authors. 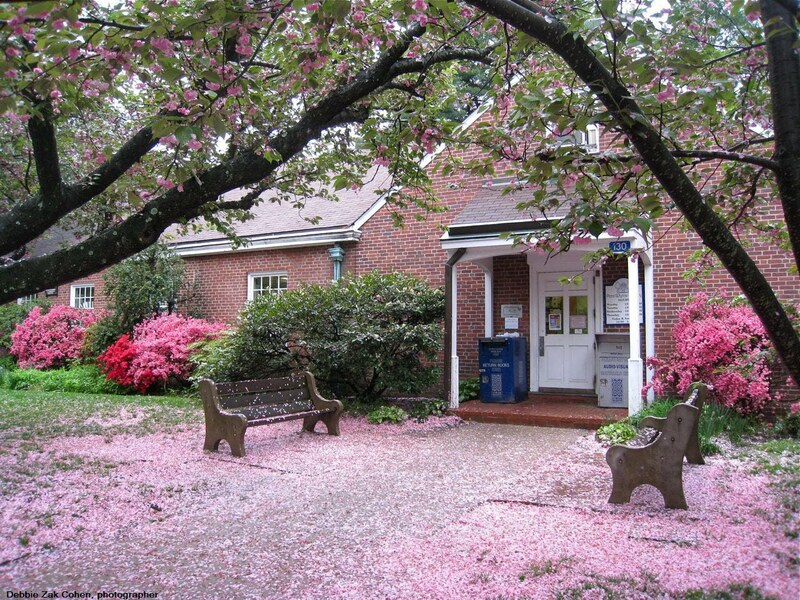 The Library is also home to my Writing Workshops - The Picture Book in the Fall, a Facilitated Children's Book Writer's Group in the Summer, a Nuts-and-Bolts Seminar in the Spring, and thus a bounty of talented children's book writers with whom I'm privileged to work. 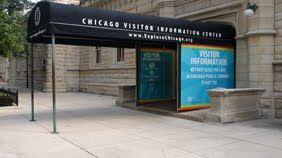 Like my first library love, the Penn Wynne Library of my childhood, Chicago's newest branch, a tiny space within Chicago's Visitor Information Center in the Water Works off Michigan Avenue, is but a stone's throw away from my Chicago home. Its Popular Library and shelves waiting to hold requested reserved books bring a smile each time I enter. All I need do is visit CPL online, reserve whatever book I need/want/long for/wish for, and just like that (almost), the book's in my 'hood, a minute away, with my name on it. And how appropropriate is it that a library branch resides within a tourist facility?! Oh, the traveling I've done at the libraries I've loved before. Yesterday, when visiting Mrs. Lauren Gray’s Third Grade classroom at the George Armstrong International Studies Elementary School in the Rogers Park neighborhood of Chicago, I proudly showed my fellow writers my CPL Library Card. All of my personnaes - the Writer, the Teacher, the Writing Coach, the Teaching Author, the Former Child, the Adult and of course, the Mom, thank the above five libraries from the bottom of our book-lovers' hearts. We wish every library everywhere, built of real bricks or otherwise, Happy National Library Week! Don't forget to visit Shelli Srjohannes blog Market My Words to read other posts celebrating National Library Week. When my daughter turned two, I was excited to take her to our first Story Time. After the first half-hour experience, my excitement waned considerably. Ms. Shelba was fantastic. My daughter, alas, was not. She was mostly concerned with wandering the aisles, pulling books off shelves, and making repeated breaks for the parking lot. At least it's fairly easy to corral a wayward kid in a library the size of a postage stamp. Despite the browsing opportunities the aisle-roaming afforded, we were not so long for story time. Blessedly, the library bookmobile now comes to my daughter's preschool. Apparently she is angelic and attentive during story time. She and her brother frequently play "libary" at home. This is a game that has the rare cachet of House, School, Princess, and Horsie. My daughter, by some miracle certainly not wrought by me, has come to view the library as a magical place. My college students, on the other hand, were reluctant attendees last week at a presentation from the campus librarian about research and materials available to them. As I have observed in many classes now, the idea of reading actual books or journal articles (a requirement for this assignment) is pretty much a non-starter among today's Digital Natives. If you can't find it on the Net, forget it. I do understand this mentality. I am a proud member of Generation X. I have my Kindle for PC app, and I adore the instant gratification it affords. I operate a paper-free office for my job. I read everything on my computer screen. And I can't imagine how I ever lived without the Net. The thing is -- our students can access the campus library from the comfort of their own homes. They can search for information, reserve books, read articles (CQ Researcher! ), and even watch movies. Our local library allows patrons to renew books online and sends overdue reminders via email. Yay, 21st century! In my mind, the library is a place with cozy chairs and that scintillating smell of books old and new. But technology has made it possible for the library to come to my home -- and not just in the let's-pretend way of my children. And if you're looking for a fantastic addition to your home library, remember to enter our new book giveaway! Before entering, be sure to first read our Giveaway Guidelines here. If you'd like a chance to win an autographed copy of the anthology Ladybug, Ladybug and Other Favorite Poems, post a comment here telling us why you'd like to win the book. Also, we'd love to know if you're doing anything special to celebrate National Poetry Month. And please, don't forget to provide your email address or a link to your own blog in your comment so that we can contact you. (U.S. residents only, please.) Entries must be posted by 11 p.m.(Central Standard Time) Wednesday, April 14, 2010. The winner will be announced on April 15. A Poem-A-Day! Frustration! A Poem & a Poetry Writing Exercise! Book Giveaway! Hi! 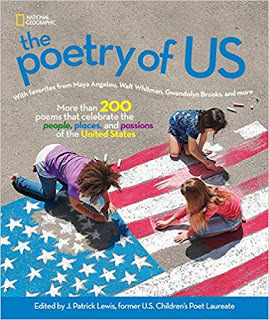 So...if you follow TeachingAuthors, you know that for National Poetry Month I am participating in the poem-a-day challenge. It's VERY strange. I'm having those naked-in-public dreams. So writing a poem and posting it on the same day feels as if I'm an artist and suddenly someone flings open the door of my studio and thirty lookie-loos crowd around me as I'm painting at my easel. Some days it's fabulous. I think, Wow...this is so cool, I can't wait to share it! And other days, (yesterday and today, for example), I'm that grim-jawed miner determined to find a poem. What have you learned in writing the series? I’m learning the same lesson every single time. I’m learning to trust the process. 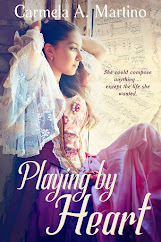 I’m trying to remember that writing should be a form of play. I keep saying the fate of the free world does not hang in the balance. Even if I write a book that fails, nothing will happen. I’ll be mortified and embarrassed, but lives will not be lost over this. I take writing terribly seriously, and sometimes that just gets in my way. Writing is about the Shadow, which is about play. I just have to learn that again. And, in my own life, it’s like I can’t learn that I’ll rise to the occasion. I do rise to the occasion, but I’m never sure that’s going to happen. I keep thinking, Uh-oh, this is going to be the book that does me in. So that frightens me so desperately that I get into a panic when I should shut my mouth and get on with it. I think I may need to post this quote near my desk. But after I'd finally finished yesterday's poem, I COULD NOT GET IT TO POST properly. I pushed the "update" page...but the spacing was whack-o or all the older poems disappeared. I also discovered that if I edited it through Firefox it would not necessarily come out right when viewed with Internet Explorer. So, I HAVE NEWS FOR YOU, SUE GRATON--the fate of the free world DOES hang in the balance! At least that's how it felt. My brain knew that no one would die if I didn't post the poem. But my boiling blood pressure couldn't seem to get the message. It's obviously time to get some perspective and remember how wonderful my life is. So, today's WRITING WORKOUT is about a form of poetry I've named the Dayenu poem, a poem about a day or experience for which you are grateful. These poems make wonderful read alouds...everyone says "Dayenu" as the chorus. I have been thinking a lot about the word Dayenu, which we hear each year at the Passover seder. “…The word “dayenu” is Hebrew for “it is enough for us” or “we would have been satisfied.” The song lists the miracles…performed for the Jewish people…The song follows the format “If G-d had done x and not done y, dayenu. If G-d had done y and not done z, dayenu,” and so on. This…expression of gratitude… helps to inculcate a mindset of thankfulness that is appropriate outside the confines of the Seder as well. I decided to copy the original format (which you can read here) and apply it to one day in my life. Warning…this is pretty long. My goal in writing poetry and picture books is to condense, condense, like a soup stock. But, ironically, this takes time–if I had longer to work on the poem it would be shorter! So here is a first version of a poem incorporating the idea of Dayenu. What could be a better writing assignment? Relive a really wonderful day. Now...write your own Dayenu poem. And remember to enter our new book giveaway! Before entering, be sure to first read our Giveaway Guidelines here. 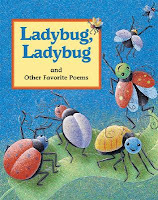 If you'd like a chance to win an autographed copy of the anthology Ladybug, Ladybug and Other Favorite Poems, post a comment to today's blog post telling us why you'd like to win the book. Also, we'd love to know if you're doing anything special to celebrate National Poetry Month. And please, don't forget to provide your email address or a link to your own blog in your comment so that we can contact you. (U.S. residents only, please.) Entries must be posted by 11 p.m.(Central Standard Time) Wednesday, April 14, 2010. The winner will be announced on April 15. I am again thrilled to feature one of my former students as a TeachingAuthors "Student Success Story"! We hope that sharing the accomplishments of our writing students will help inspire other teachers and aspiring writers. Today I am honored to introduce you to Cathy Cronin. Cathy was a student in a Continuing Education class I taught on Writing for Children and Young Adults at the College of DuPage in the summer of 2001. (One of her classmates, Laura Crawford, is another Student Success Story.) Cathy is a writer, poet, blogger, and a busy mother of three. Her poems have been published in a number of magazines for children. One of her poems also appears in the anthology, Ladybug, Ladybug and Other Favorite Poems (Cricket Books). Cathy is donating a copy of Ladybug, Ladybug for our giveaway today in honor of National Poetry Month. (If you haven't been following our own April Halprin Wayland's Poem-A-Day challenge, I encourage you to do so here.) Instructions for entering our drawing are at the end of this post. Cathy, what inspired you to sign up for my class? I have always loved writing and have done it since I was a child. But it wasn’t until after my second child was born that I started to consider writing for children. After reading so many books to them, I was reminded how much I loved children’s books and wanted to give it a try. I read several books on how to write for children and joined a critique group. When I heard about your class “Writing Fiction for Children and Young Adults” I knew it would be perfect. 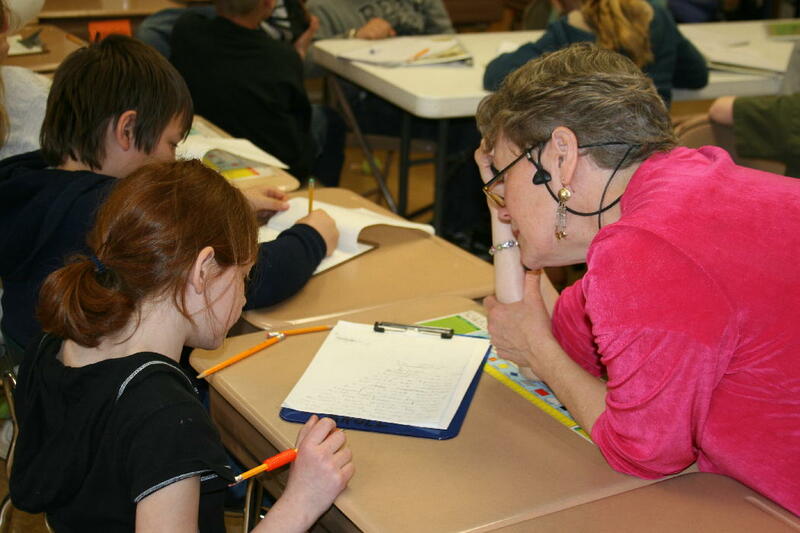 Your course covered all aspects of children’s writing and was taught by an experienced author. It was just the foundation I needed. Do you recall any specific ways the class helped you? This class was a wonderful experience. It covered everything from elements of fiction, manuscript preparation, revision, submitting and more. The group critiques in class were so helpful. My favorite part was studying other picture books. Analyzing them helped me to identify “why” I liked certain stories and helped me to make my stories better. I also left the class with solid “next steps” for submitting and a new focus for my writing journey. Since taking my class, you have had success getting your poetry published in a number of children’s magazines. Do you have any particular strategy for deciding where to submit your work and/or tips for other writers trying to break into magazines? The summer of your class (July 2001), I sold my first three poems to Ladybug magazine. What a great feeling! I couldn’t wait to see my work in print. But I soon learned how long the publishing process could take. So I developed a strategy to help me better handle all that waiting. I decided to use the time while my children were young to build a “children’s writing” resume. My plan was to take as many classes and conferences as I could, and submit work to many different magazines to build my portfolio. My hope was that by the time my third child was in school, I could spend my full days writing and would have some experience behind me. 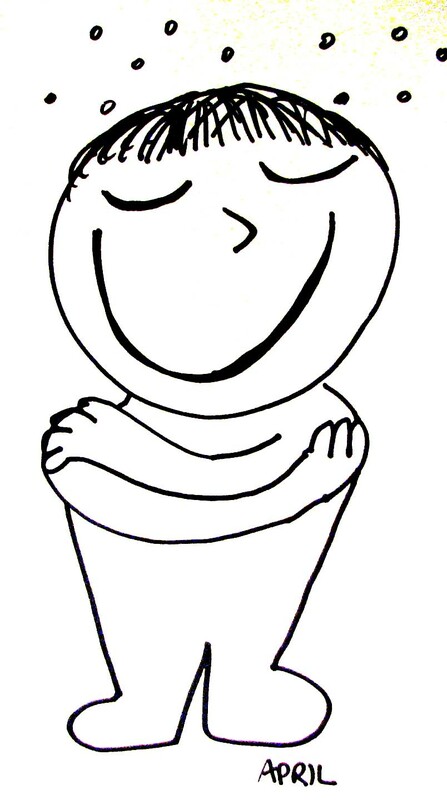 I feel fortunate that I have now sold 23 poems to several magazines, including Highlights High Five, Ladybug, Your Big Backyard, Turtle, Humpty Dumpty, Confetti, Wee Ones and McGraw-Hill Educational. I just found out that my poem “Bubbles” will be appearing in the May/June issue of Humpty Dumpty magazine. Can you tell us how one of your poems came to be published in the anthology Ladybug, Ladybug and Other Favorite Poems? The anthology Ladybug, Ladybug and Other Favorite Poems (2007) was such a wonderful surprise. My poem “Firefly” is the final poem in the collection. It is one of those first poems that I sold to Ladybug magazine the summer of your class. The editors at Ladybug pulled several of their favorite poems from the magazine and put them together in this beautiful hardcover anthology. You’re the mother of three active children. How do you balance your busy personal life with your writing, marketing, blogging, etc.? My youngest child is in first grade so I can now spend full days writing, which is wonderful. Balance is always a struggle but I really try to make my writing a priority during the day when they’re at school. That’s my best working time now. And if I’m working on a particular manuscript or project, I can always find extra time to fit more in. Ideas can pop up even while waiting for them in the line at school or at sports practice. I always try to have paper and pen handy. Have you taken other classes or continued your writing education in other ways? Absolutely. 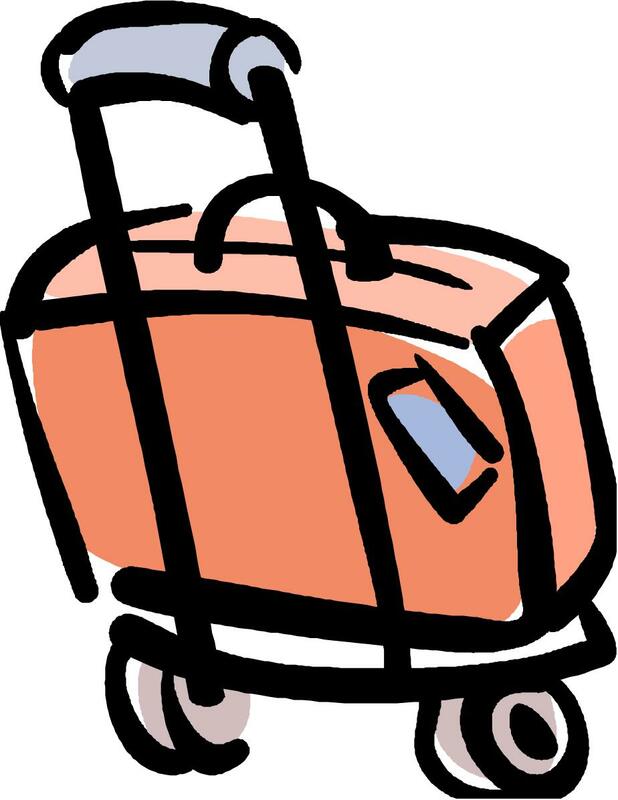 Each year I try to attend SCBWI (Society of Children's Book Writers and Illustrators) sponsored conferences and classes. I have taken many classes on writing, illustrating, poetry, promotion, etc. I think it’s important to continue to learn new things, hone my skills, and keep in touch with what’s happening in the industry. I also learn so much from my critique group. Both the classes and writing groups help me to stay focused and motivated. 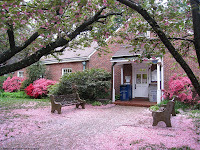 I recently completed a poetry writing course at the Highlights Foundation in Pennsylvania, taught by Rebecca Kai Dotlich, Alice Schertle and Susan Pearson. It was a great experience. Carmela, thank you so much for this opportunity and for being such a wonderful teacher. I really appreciate all that you’ve taught me. Well, I'm so proud to feature you, Cathy, as one of our "Student Success Stories." And thank YOU for donating a copy of Ladybug, Ladybug and Other Favorite Poems for our giveaway in honor of National Poetry Month. Now here's the information about our giveaway. Before entering, be sure to first read our Giveaway Guidelines here. We look forward to reading your comments. Good luck! PS: If you read the comments to Mary Ann's last post, you know she's a fan of Ron Koertge’s novels-in-verse, Shakespeare Bats Cleanup and the new sequel, Shakespeare Makes the Playoffs. (Ron was kind enough to post a comment, too.) 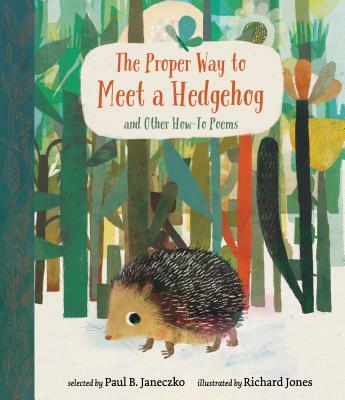 I just learned that, in honor of National Poetry Month, Candlewick Press is giving away copies of the books to five lucky librarians. For details, see this article in School Library Journal. And for all you writers out there, I just discovered that Ron is also a member of a group blog. You can read his posts at The Storyteller's Inkpot. It's my turn to post, and National Poetry Month is my topic. I am the least qualified of the TA's to write about poetry. I don't read poetry (much). I don't understand most of it. I am in awe of those who can take small moments, and turn them into a perfectly realized epiphany, complete with symbolism, metaphor and sometimes rhyme and meter. Alas, I am not one of them. What follows is in no way an indictment of teachers or teaching, past or present. I am just sharing how I came to fear poetry. I had some Old School elementary teachers who believed that memorization was a way to exercise mental muscle. Every Friday, each student was required to deliver, from memory, a poem of at least eight lines (the longer the better). This showed up on my report card under the subject Oral Expression. Seriously. Yeah, I loved poetry. Until I was asked to write it. For a grade. And it had to rhyme. It was the only time I can recall hating a writing assignment. I couldn't rhyme. If it was haiku, I couldn't come up with the right number of syllables. I couldn't think in terms of "small moments." My mind was all about fiction. Big pictures. Epics. In junior high, some warped being in the state office of curriculum decreed that seventh graders would spend six weeks with "The Courtship of Miles Standish" and eighth graders with "Evangeline." If there was anything worse than a short poem I didn't understand, it was a long, narrative poem that was BORING (to a twelve-year-old.) Somebody In Charge had a thing for Longfellow. From "Evangeline," it was on to those pithy nuggets in my high school literature book. Amy Lowell's "Patterns." "Auto Wreck" by Karl Shapiro. "The Rime of the Ancient Mariner" still gives me nightmares. I didn't understand the metaphors. I couldn't see the symbolism. The words sat on the page, leering at me, refusing to yield their secrets. Never in my entire life, had I felt so incredibly dumb in a literature class. I didn't get it. I just didn't get it! I am pretty sure I was the only teenage girl who didn't write poetry. Novels, short stories, essays....yes. Poetry, no. I have come to appreciate a few poets today. I love the work of my fellow TA's. I love the verse novels of Karen Hesse, Virginia Euwer Wolff, Ron Koertge, Nikki Grimes, Ellen Hopkins. I love them so much that I have been trying to write my own verse novel. For the last ten years. But for now, Happy Poetry Month! 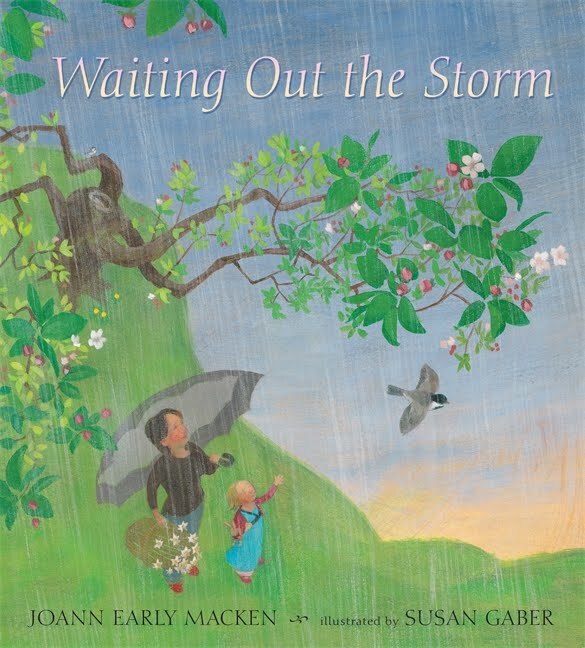 Waiting Out the Storm Part 2: Acceptance to Publication and Beyond + National Poetry Week + International Children’s Book Day + Book Giveaway winner! Wow! We’ve got a lot to cover today. First, a continuation of my previous post about Waiting Out the Storm. After my manuscript was accepted, Candlewick Press generously involved me in the search for the right illustrator by sending me samples of possible illustrators’ work and asking for my opinion. I loved them all! Several illustrators turned the project down, though: one was too busy, one was working on her own books, one had recently illustrated a book with a similar theme. At one point, we discussed the possibility of making the characters animals instead of people. Finally, in April 2007, a year after the manuscript acceptance, Susan Gaber accepted the illustration project. I pored over her portfolio online. Her work was gorgeous, luminous, perfect, and absolutely worth the wait. And then I waited some more, trying not to be too anxious about what I knew had to be a time-consuming process. In the meantime, I revised the manuscript, cutting the text from 363 words to 311 in March 2008. The first sketch dummy was due that April, and the final artwork would be sent to the printer the following spring. My editor regularly sent me copies of updated art; I carried them around with me so I could show them off. When I received my first author copy of the finished book, I cried. Even though Federal Express had bent it in half, it was the most gorgeous book I’d ever seen. As Jeanne Marie mentioned, the Washington Post gave Waiting Out the Storm a lovely review. I’ve posted it and several others (including a starred one from Booklist!) on my web site. I’m thrilled that Waiting Out the Storm is receiving such positive responses, and I’m thoroughly enjoying reading it to children in schools and libraries. April is National Poetry Month. (Read all about it here.) Our own April is celebrating by taking part in the Poem-A-Day Challenge, writing a poem every day and posting them all here. (Good luck, April! As my husband says, break a pencil!) Feel free to post your own encouraging comment. Finally, today, April 2, is International Children’s Book Day—a fitting day, I think, to announce our raffle winner. Ticia was chosen at random from the qualifying entries. She will receive an autographed copy of Waiting Out the Storm. Congratulations, Ticia, and thanks to all who participated!